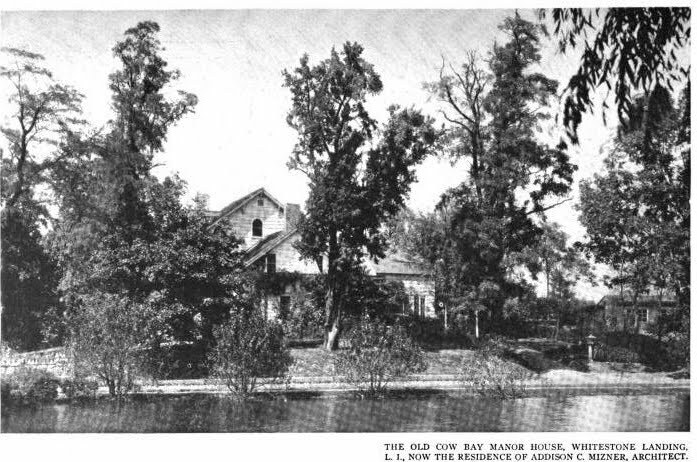 The 'Old Cow Bay Manor House', built c. 1673 by John Betts and Robert Hutchings, members of the Cow Neck homestead settlement in Port Washington. The property was later purchased by Oliver Baxter c. 1741 and was used to quarter Hessian soldiers during the Revolutionary War. 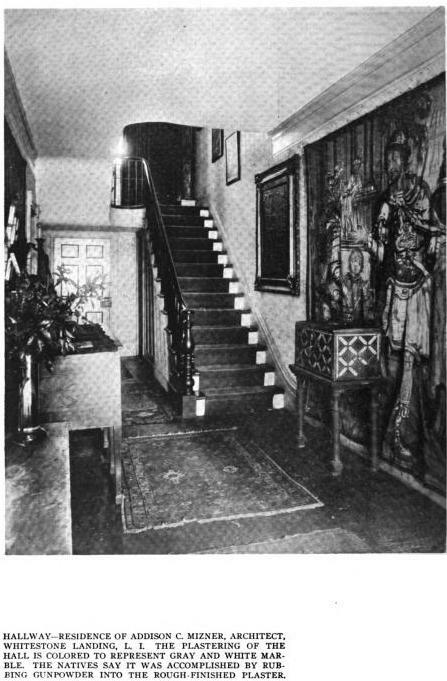 In 1907, the architect Addison C. Mizner remodeled the house for himself and the pictures below show the work he did. 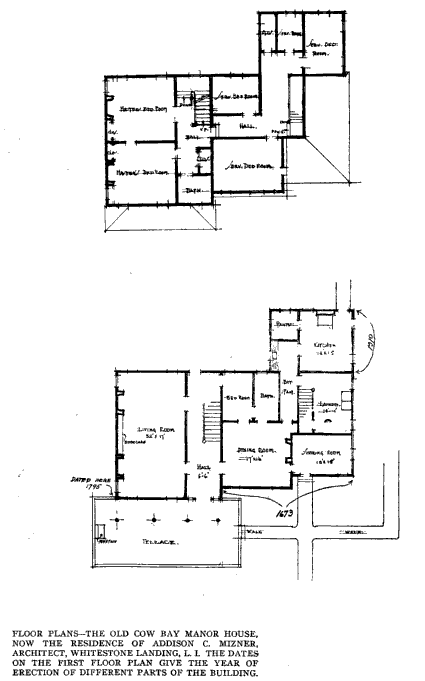 According to SPLIA, Mizner found the house during a spring weekend in Port Washington. He moved the entrance to the rear to take advantage of the view of the Bay, then added an 18 foot wide private terrace surrounded by a stone wall. Click HERE to see the 'Old Cow Bay Manor House' on google earth. 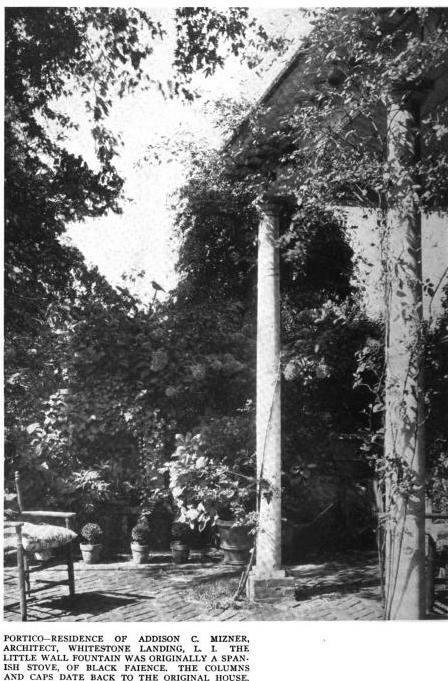 Pictures from Architectural Record, 1917. I meant to add that the doorway was added in 1812.
say what - addison mizner? i think the boys train has gone off the rails. who would have thunk it. maybe a "return to the womb" impulse. as much as i hate to, i have to agree with dilletante. even am couldn't mess this one up too much. how many mizners are/were there on long island? when they tore down La Ronda in PA, they were claiming that was his farthest north commission. unless my map is screwy, LI is norther than PA. wassup with that? - The William A. 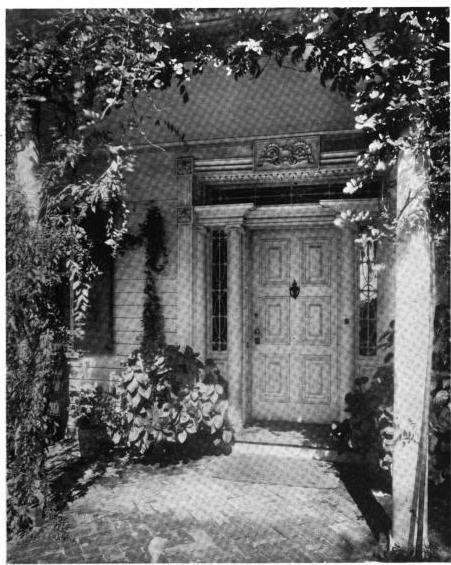 Prime Residence in Brookville (later remodeled into Hillwood, the Post estate). 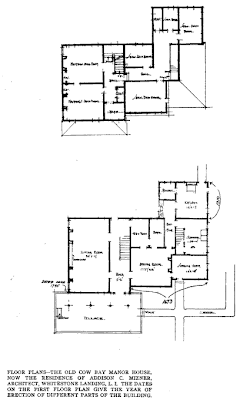 - The John Alley Parker Residence in Sands Point (extant). 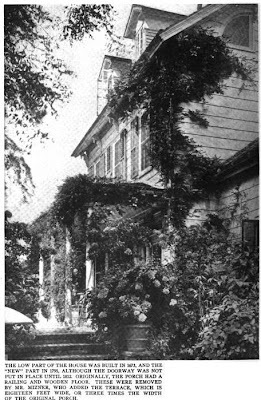 - The I. Townsend Burden Jr. Residence in Greenvale (http://www.oldlongisland.com/2008/06/delbarton.html). 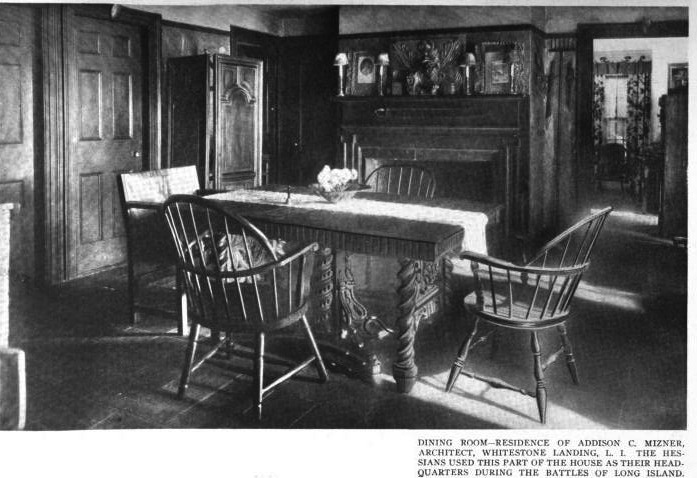 - The Stephen H. Brown Residence in Matinecock (extant). Fascinating history. love the other informative comments as well!! and i love what the new owners have done with the landscaping. and that house next door - divine. I am so sad to report that our beautiful treasure is in danger of demoliton. https://mobile.nytimes.com/2017/02/08/nyregion/something-rotten-in-east-egg-after-historic-house-burns-locals-wonder.html?referer=https://m.facebook.com/ Please help us send an email to savethebaxterhouse@gmail.com . We can get you more info. We are fighting hard but need help! !